Cool! I went to Raro about 10 years ago the first time and 5 years ago again. The nonstop Air NZ flight is quite handy. 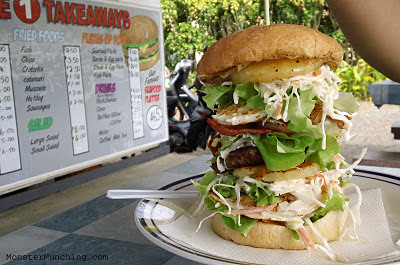 Really friendly people ; almost feels like how Hawaii might have 60-70 years ok.
"There is one dish distinctive of the Cooks more than any other. Called ika mata, it's a cross between ceviche and poke"
okay, i just scrolled down and saw anonymous's comment and he/she said the same thing. at the time, i was kind of squeamish to try the poisson cru but if i ever went back, i'd totally try it. 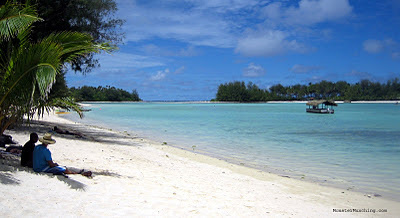 Cool to know about Rarotonga! So true. Raro is like what Hawaii might have been 60-70 years ago...a lot of primitive structures with no air conditioning, even in town! You're right. It's a lot like poisson cru. But I guess since the Cooks are English-speaking, they retained the native term for the dish. It's a pretty cool place. Hot, humid, but pretty cool. I decided I like the dish even better than poke, even better than ceviche. Of course, the surroundings may have something to do with that. Thanks for introducing me to a new place and new foods! I just found your post! 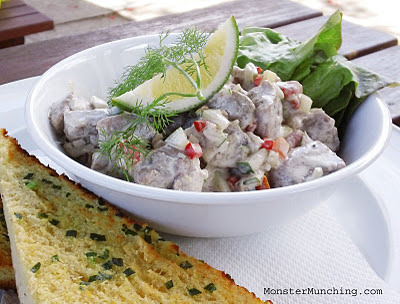 I returned from Rarotonga this morning and it turns out, I had the ika mata from Cafe Salsa. Fantastic! Another good place for ika mata is Apii Cafe on a back street in Avarua.